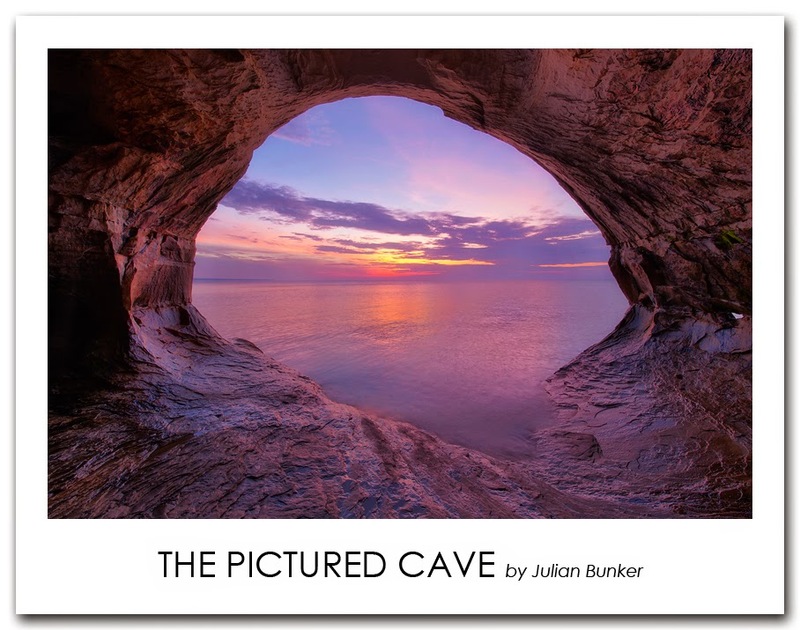 While exploring the wilds of the great Pictured Rocks National Lakeshore﻿, my friend Garrett Korson﻿ and I found this stunning cave. It is a real sight to behold and much larger than it looks. The cave entrance was near 15 feet tall and 25 feet across. We rushed back from Indianhead Point (two miles) to make it here for sunset, luck was on our side this night for the sunset was truly amazing. The only thing that took away from the experience was the massive cloud of mosquitoes and could be heard very well within the cave. The best bug sprays could not stop them from eating us alive as I stuck around photographing. I hope everyone enjoys! I know that I will be revisiting this cave many more times! Canon 6D, Nikon 14-24 (@14mm), ISO 100, F/11, five exposures were made because of the scenes massive dynamic range, (1/3rd - 1 Sec. - 2 Sec. - 4 Sec. - 8 Sec. exposures).